Quality of living is a fundamental part of daily life. The Valdesign collections are the result of constant commitment to giving the public the widest selection of products for creating their home dimension. Each design is a high quality product of beauty and function, created to guarantee long-lasting reliability. These characteristics are perfectly balanced with economic value, accessible to all and representative of a winning quality-price-image ratio, especially when compared to other products on the market. 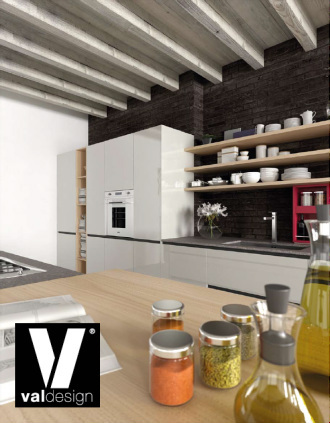 All of the products made by Valdesign are devised and produced in Italy to guarantee conscientious, diligent control of all the phases of production, and parts and raw materials are selected and purchased from top european and international suppliers. Unbound creativity, conscientious manufacturing, and Valdesign’s specific, innovative technological know-how are what make Valdesign products the pride of "made in Italy". These are all basic characteristics for a company continuously facing the needs of an international clientele, and a commitment to a true balance between long lasting beauty, and real world endurance. Cerasa, has been present on the market since 1983, and has always been among the sector's protagonists, designing a technological and qualitative point of reference that has made bathroom furniture its vocation. 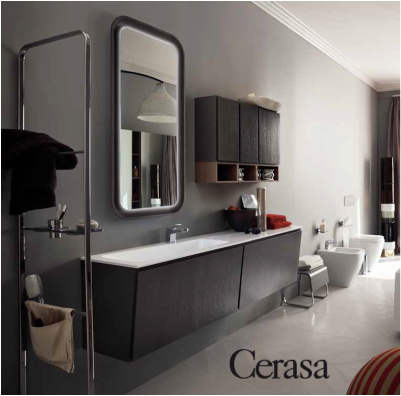 Cerasa has contributed to transforming the concept of the modern "bathroom" into w﻿hat it is today, as well as adding an expression of beauty and wellness, offering innovative, and exciting collections. Since it's beginning, Cerasa has given special attention to the safety of its own products. The materials used are all rigorously controlled and “made in Italy”, to the highest of quality and safety standards. The emissions of formaldehyde are reduced to a minimum, and the entire production cycle, from the fabrication of the panels, to the painting, to the packaging, have a very low impact on the environment and on your family's health. For simply unique elegance, quality, innovation, and environmental concern, Cerasa will make your new bathroom a one-of-a-kind, work of art. 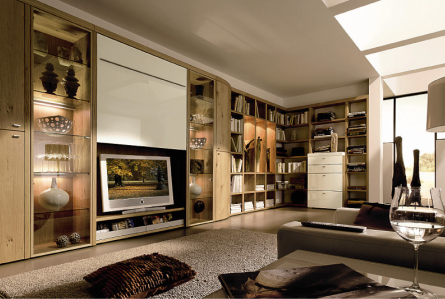 Founded in 1960 by four businessmen in the furniture industry, from the very start SMA has specialized in producing bedroom and living room furniture. The company currently produces modern design furniture, using state-of-the-art technologies and collaborating with cutting edge designers. SMA represents the great Italian woodworking tradition and its vocation for research and innovation. These two values produce the cultural heritage and experience that SMA transfers to every product; the company is evident in shapes, in component details, and in quality combined with original design. In the global and undifferentiated market, SMA's strong personality offers to the consumer an alternative option based on quality. This is the result of a particular care for new materials and for innovation, that when joined with the quality of the craft, gives it the best solution for your furniture needs. Hulsta makes absolutely no compromises when it comes to quality furniture. Traditional techniques are still deeply rooted in their manufacturing, and meticulously crafted details such as dovetail joints are not only perfectly stable but also stunningly beautiful. Elegant lacquers are supplied for unequalled surfaces, and Hulsta clientele continuously retain a keen sense of quality products. It is easy to appreciate the elaborate processes that are required to create the famous hülsta high-gloss surfaces, and many different steps are required in order to ensure the completely smooth high gloss sheens that feature unequalled brilliance and an incredible depth effect. Together with industry leading partners, hulsta continuously develops new lacquers, which combine perfect colors, innovative functionality, outstanding suitability for everyday use, environmental compatibility and a healthy living climate. Be assured, hulsta EverGloss secures every element of this beauty of this for years to come.